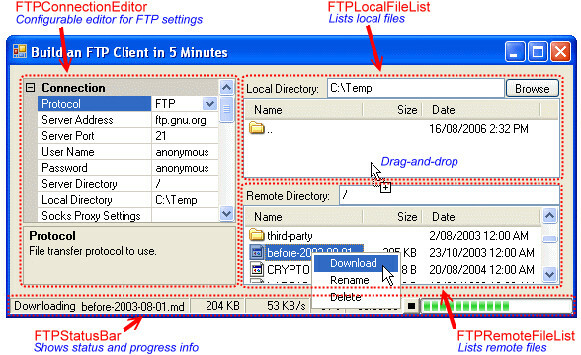 edtFTPnet/PRO offers a set of robust and powerful, yet easy-to-use components and controls that make transferring files using the FTP, FTPS, SFTP, SCP and HTTP/HTTPS protocols a breeze. Google docs are also supported. All protocols are in a single component meaning switching protocols is as simple as changing a property. Directory transfers, proxies and connection pooling are supported. 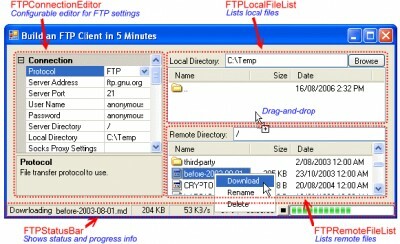 It also includes an FTP shell and FTP scripting.